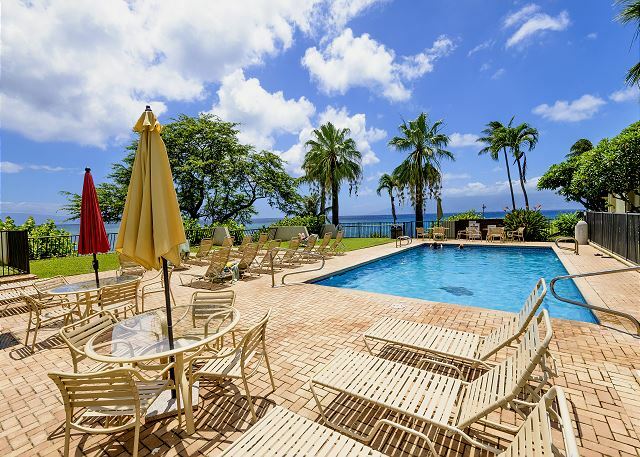 Napili Point is a meticulously maintained low rise building and grounds that nest on Honokeana Cove home to some of the best snorkeling, diving, swimming, and surfing that Maui has to offer. 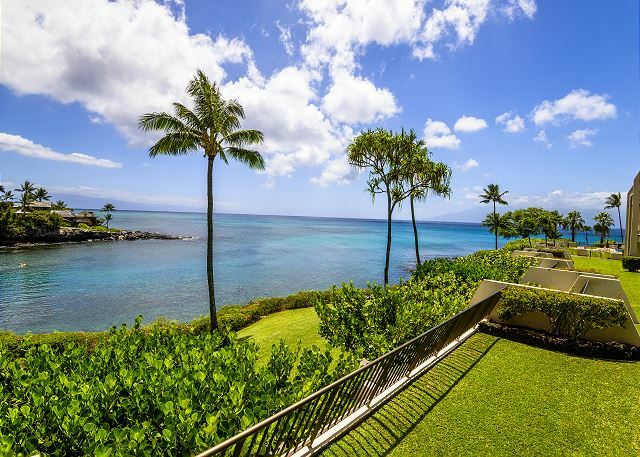 The elegant and understated classic Hawaiian architecture blends seamlessly with backdrop of the verdant West Maui mountains, panoramic ocean and sunset views, and the gentle silhouettes of Molokai and Lanai. 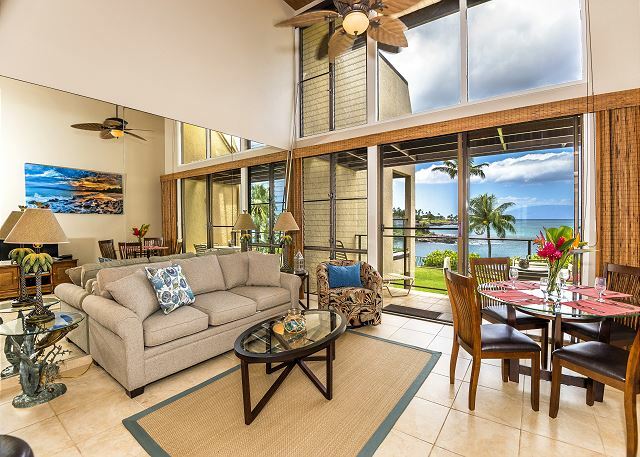 This unit looks directly out at the warm, calm, and pristine water of Honokeana Cove which serves as a wonderful place for guests to enjoy a flourishing coral reef, green sea turtles abound, and just about every water activity one can enjoy. 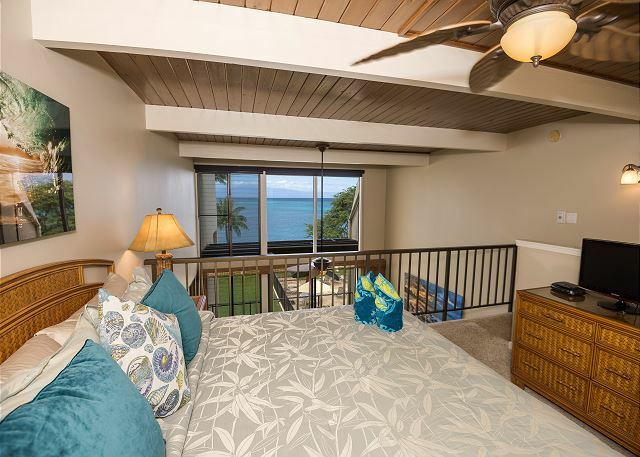 The covered lanai, kitchen, living area, and guest bedroom are on the first floor and the master suite is located on the upper level loft area. The furnishings are modern and elegant. You will want to come here again and again! Perfect location.Would have been nice if they provided beach gear like many of the other owners. 5/5 stars Review by John K A. We loved the unit and Napili. It was our first time in the area but will not be the last. The beaches, the neighbourhood, and the relaxed vibe made this a great vacation. All the amenities and services in the area made it a very good place to stay. The only critique is the unit had a rug in the living room that had some excess wear and tear, and some beach chairs and an umbrella would be an asset. It was a wonderful location and the sunsets and ocean were incredible! I am positive the sunsets on Maui are the best. 5/5 stars Review by Joan M.
The view from C-12 is wonderful. We could watch whales jumping off shore and turtles in the cove. We walked to the Kapalua trail, so didn't have to worry about the limited parking at the trail access. 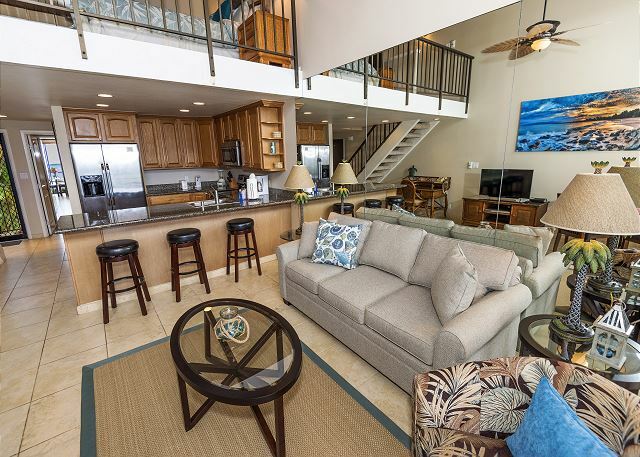 The condo is comfortably furnished and just big enough for two couples. 5/5 stars Review by AB-Cristy S.
This property was amazing! Pictures are exactly what it looks like. We loved having the pool so close and snorkeling with the turtles. I highly recommended this property; it made our family vacation absolutely awesome. 5/5 stars Review by John O. 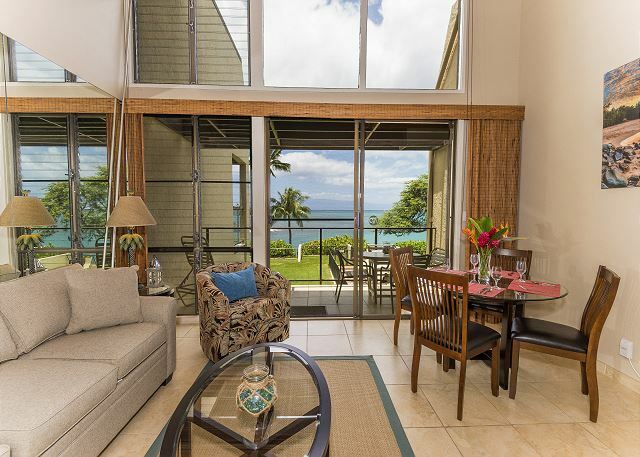 We had an excellent stay at Napili Point C12. Unit was clean and very well equipped, and the location was just as advertised. 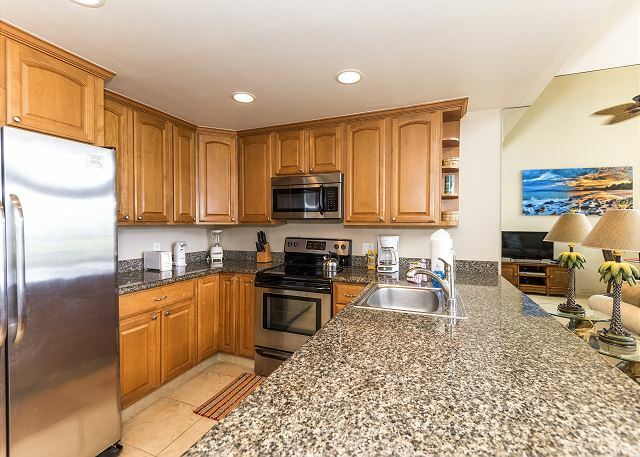 We enjoyed cooking in the kitchen, and going to Lahaina for dinners out. The staff on-site, and Stacey via phone we're always very helpful. I'd definitely come back! Fabulous place with breathtaking views! 5/5 stars Review by Jan M.
Our family of 5 had a wonderful time at Nipili Point C-12. We were very comfortable and the apartment is well equipped. It was nice to have beach towels and chairs there too. Everything was in great shape and clean. 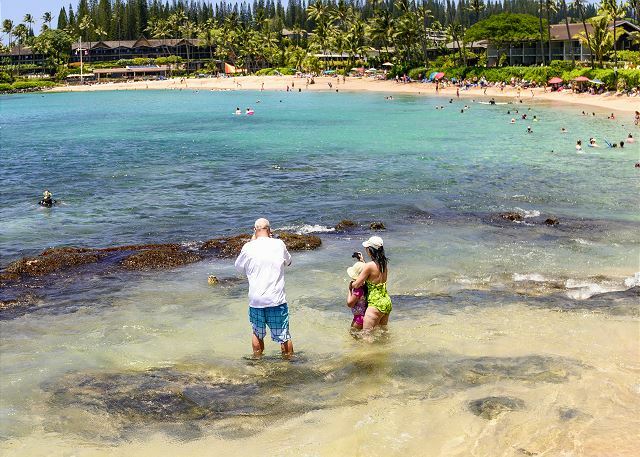 The location to the beach, turtle bay and tide pools was very convenient. We saw lots of turtles and enjoyed snorkeling right outside. The pool and BBQ's are kept clean. It worked perfectly for our family. The view from our condo's lanai was not only ocean front but a stunningly beautiful one. The master bedroom 's position as a loft allowed for waking up to this blue gem every morning. 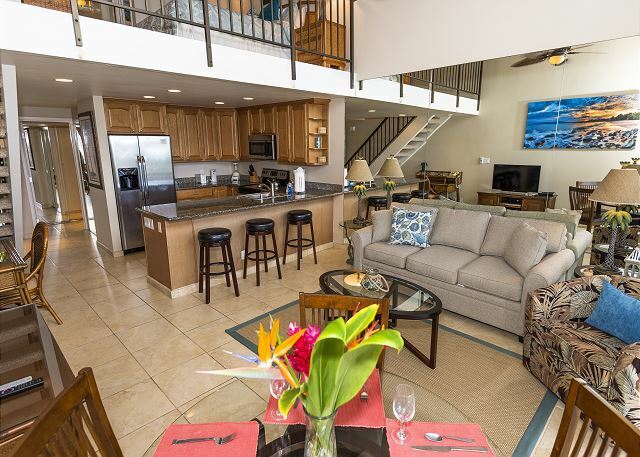 Adding to that were the comfortable furnishings and updated kitchen to make our stay a truly relaxing vacation. 5/5 stars Review by Grant L.
We spent Christmas here with our three kids (ages 3,5,7) and it was fabulous. The views out the back deck are amazing and the condo is well appointed and comfortable. 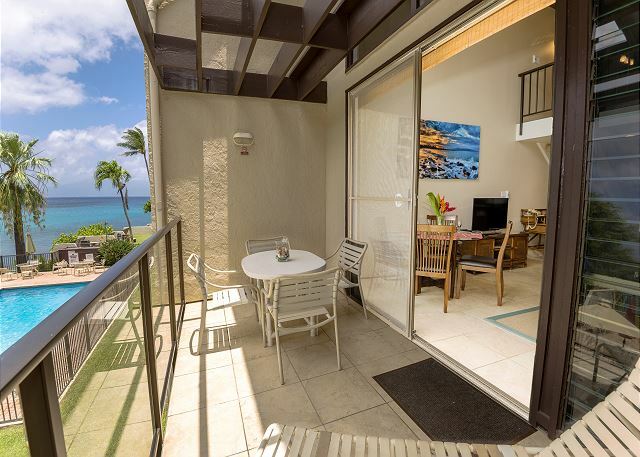 The location to beaches, snorkeling, and services (Napili Plaza) make this place a home run. We would definitely stay here again if we are fortunate enough to come back to Hawaii!! The location in Napili was excellent...the grounds were well kept ....and the ocean view was easy to walk to the Napili Bay Beach. 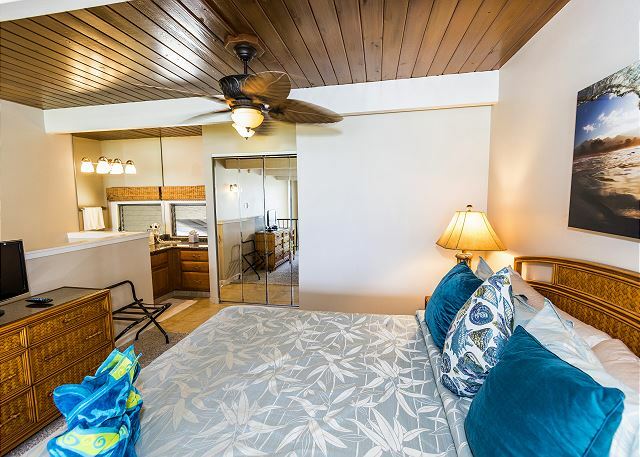 We enjoyed many restaurants in the area.On the negative side..the linens were ripped and really didn’t fit the bed.The washer,dryer and dishwasher should be replaced...the washing machine was extremely loud when used.We would definitely return to Napili Point....this unit just needs a little attention to make it perfect. Hi Mary Ann, Thank you so much for letting us know about the linens and appliances. We will have the owners looking into replacements as soon as possible. We look forward to seeing you again! Mahalo! 5/5 stars Review by TA-Tammy S.
The location is perfect. The view . . . heavenly, is the closest word I can come up with and the condo is very comfortable. We will definitely come back, and it couldn't be soon enough. 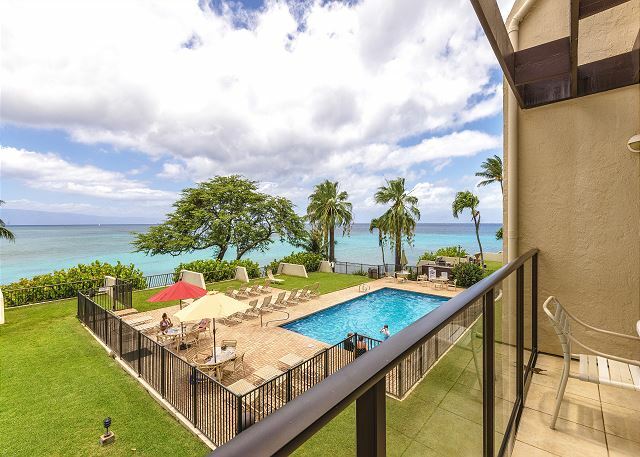 5/5 stars Review by Rachel C.
5/5 stars Review by Phan V.
We really enjoyed our stay at Napili c-12. The view was spectacular. This place was close to everything: pool, beach, snorkeling, grocery store. We liked it that it's not crowded, busy, nor noisy. The condo was clean and nicely decorated with modern style furnitures and provided all the amenities that we needed. It does have ceiling fans, but no air conditioning so it can get pretty warm in the condo. Checking in at 4:00 pm seemed pretty late to us, but checking in and out was super easy and convenient. We would stay there again. Terrific location and wonderful view. 5/5 stars Review by Kathleen D.
Excellent accommodations. Very quiet, beautiful view. Beautiful condo with spectacular views! 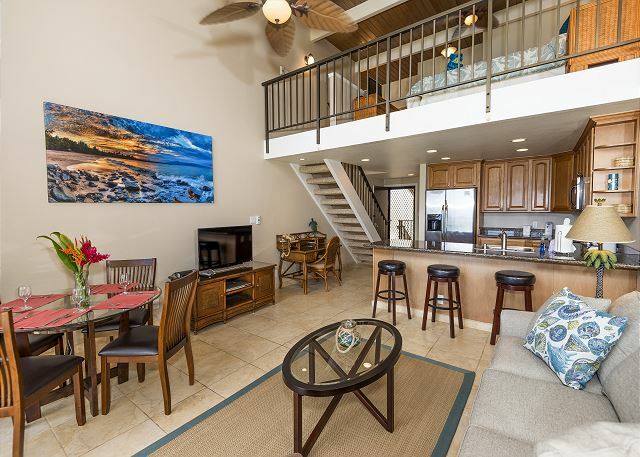 Very nice condo in what must be one of the best resorts on Maui if you are looking for a quiet oceanfront location.Epic Realty was very easy to work with and everything was to our satisfaction in the rental process.Can really recommend! 1/5 stars Review by Tina and Mark H.
Unsatisfied in total. I am guessing you would prefer to get good reviews only, so I am not going to spend much time on this. Good place for a quick get away. Overall, the rental was fine with updated furnishings, bathrooms and kitchen. We were mostly off visiting places in Maui. There were some issues, like dishwasher door dropping below the level of dishwasher so the bottom rack falls out, the dryer door clashing against the closet door (had to move the dryer some to open the its door), the dryer vent not properly connected (it blow air into the closet, not outside), lack of lighting over the dining table (couldn't use it as a result). I think the cleaning prior was professional and appreciated. It'd have been nice to have details to enter the condo a day or two staying prior to occupancy rather than an hour or two since I had to communicate with the realty and then check all my emails, texts, etc. constantly make sure I got the info. esp. since I got voicemail rather than a person. 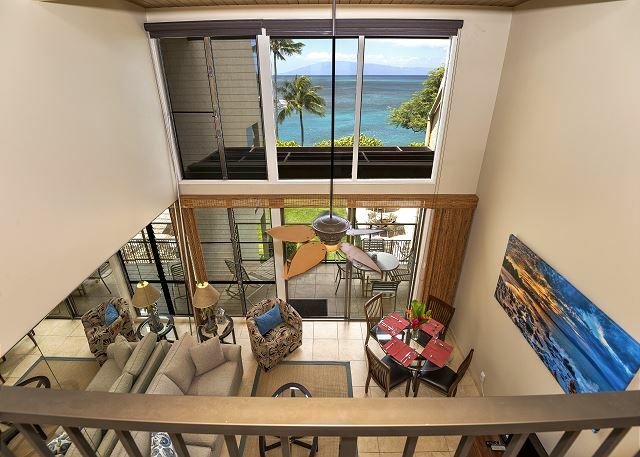 No A/C which is the true in most condos in Napili.